The CD release party will be held in the gorgeous & acoustically-designed sanctuary at Congregation Agudas Achim and will feature the band, Blumofe, and Mayrent, as well as a short talk by legendary Austin musician, formerly of the Bad Livers, Texas’ most prominent klezmer expert Mark Rubin. MTKH is as much a research project as it is a live band. 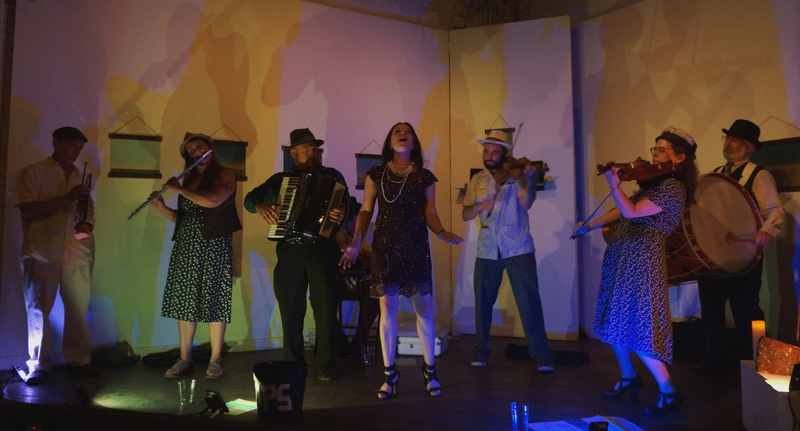 Through its desire to pay homage to the hundredsyears-old traditions of the music, members of MTKH have studied klezmer performance from internationally prominent klezmer traditions. It has also sought to convey that knowledge to local musicians through free workshops and a community klezmer band which performs at the HONK-TX street band festival. MTKH instrumentation is unique, featuring accordion, flute, trumpet, clarinet, cimbalom, trombone, fiddle, and tuba. The star of the band is its Belarusian vocalist, Svetlana Saenger, who sings in multiple languages.